We are a local Gold Coast based towbar fitting company with 10 years in the industry servicing from Tweed Heads to southern Brisbane and surrounding areas. We pride ourselves in giving our customers honest, professional service and competitive rates. Our mobile fitting service aims to provide customers with a prompt, convenient and friendly solution for your towing needs. We specialise in all makes and models including various European models such as Mercedes Benz, BMW and Audi, new or early models we aim to provide you with the right towbar for your vehicle. We also cater for your caravan or large trailer needs and can provide you with a brake controller as well as Anderson plugs or weight distribution hitches. 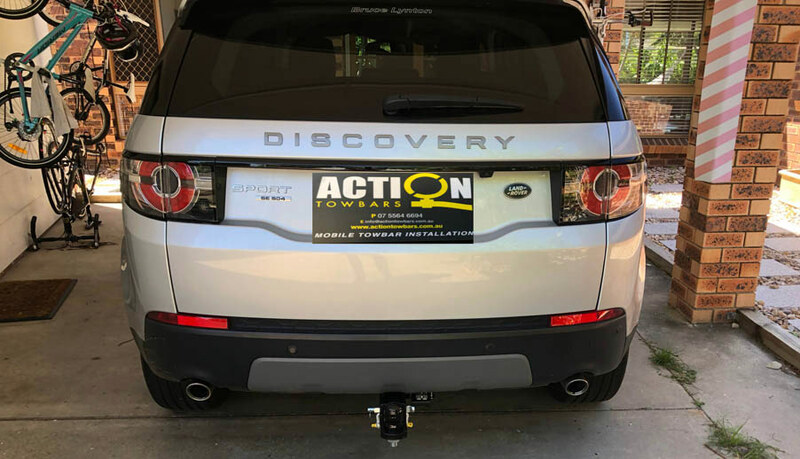 from initial enquiry, to the fitment of the tow bar on our Pathfinder at our own home, Kylie & Jesse at Action towbars were great to deal with, with the finished product spot on. Highly recommend. I had a tow bar fitted by this company and they were excellent on service and communication and even the price was good. Really happy with the whole transaction and the quality of workmanship..
great customer service. great products. I highly recommend Action Towbars to anyone who is looking for a towbar for their car. Thanks Kylie and Jesse for the quick response and fast fitment of my towbar. Jess was out EXACTLY at the time stated and finished nearly an hour faster than expected. The job quality is exceptional and all the staff that I have dealt with were professional and did exactly what they promised, when they promised! Great price, great quality and great service!